Kim Wilde is an English singer, author, DJ and television presenter who appeared on the music scene in 1981 with “Kids in America”. In 1983, she received the Brit Award for Best British Female. In 1987 Kim Wilde had a major hit in the US when her version of The Supremes’ classic “You Keep Me Hangin’ On” topped the charts. Worldwide, she has sold 10 million albums and 20 million singles. Kim Wilde released her debut single “Kids in America” in January 1981. It reached number two in the UK Singles Chart and scaled the Top 5 in other countries such as Germany, France and Australia. Although it achieved only moderate success in the US, peaking at number 25 when released in 1982, it is often regarded today as Wilde’s signature song. Her debut album Kim Wilde repeated the success of the single, spawning two further hits in “Chequered Love” and the UK-only single “Water on Glass”. Her follow-up album was 1982’s Select, led by the hit singles “Cambodia” and “View From a Bridge”. Both were number 1 hits in France and reached Top 10 positions in Germany and Australia. At the time, there was some controversy about Wilde’s hesitation to do live concerts. Her first concerts in September 1982 took place in Denmark, before embarking on a UK-wide tour in October. Wilde’s third album, Catch as Catch Can (1983) was a relative failure. The first single from the album, “Love Blonde”, was another success in France and Scandinavia, but failed to have major success in other countries. The failure of the album led to her leaving RAK and signing with MCA Records in the summer of 1984. Kim Wilde’s first MCA album Teases & Dares was again overlooked in her home country, but fared better in Germany, France and Scandinavia as well as scoring another German Top 10 single with “The Second Time” (which was Top 30 in the UK). 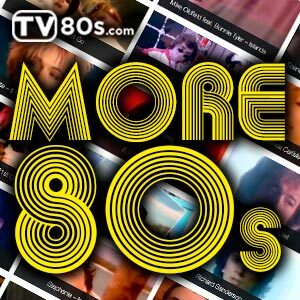 The video for this song appeared in an episode of the 1980s TV hit Knight Rider in 1985. The second single, “The Touch”, was not a commercial success, but the third single, the rockabilly “Rage to Love”, made the UK top 20 in 1985. All of her songs up to this point, including all her major hits, had been written by her father Marty and brother, Ricky. On Teases & Dares she penned two songs. Meanwhile, Wilde had embarked on three European concert tours. On her 1986’s Another Step album, Wilde wrote or co-wrote most of the songs. The album’s lead single “Schoolgirl” flopped in Europe and Australia, but Wilde’s fortunes improved in spectacular fashion with the album’s second single, a Hi-NRG remake of The Supremes classic “You Keep Me Hangin’ On”. After topping the charts in Australia and Canada and peaking at number two in the UK, it became a US number one single in 1987. With that hit, she became the fifth UK female solo artist ever to top the US Hot 100, following Petula Clark, Lulu, Sheena Easton, and Bonnie Tyler. In 1988, Kim Wilde Wilde released her biggest selling album to date, Close, which returned her to the UK top 10 and spent almost eight months on the UK album chart. It produced four major European hits: “Hey Mr.Heartache”, “You Came”, “Never Trust a Stranger” and “Four Letter Word”, (the last 3 were Top 10 hits in the UK). The release of the album coincided with a tour of Europe, where she was the opening act for Michael Jackson’s Bad World Tour. 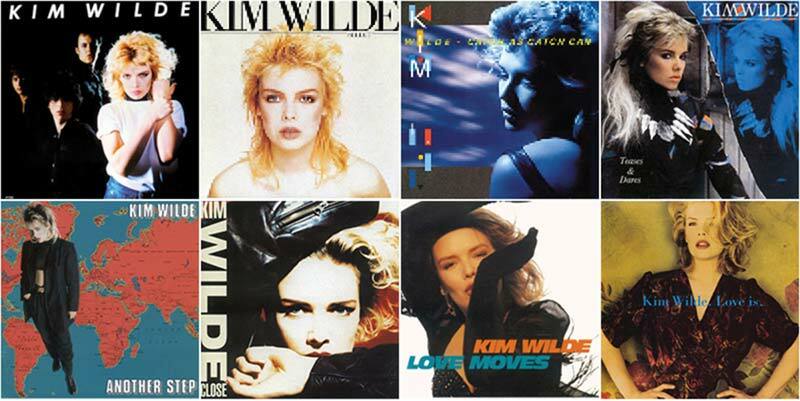 Wilde released her next album, Love Moves, in 1990. The album barely made the UK Top 40, and, although it was a Top 10 success in Scandinavian countries, it failed to sell as well as its predecessor and only spawned two minor hits, “It’s Here” a Top 20 success in Middle and Northern Europe as well as “Can’t Get Enough (Of Your Love)”, her last Top 20 hit in France. She toured Europe again, this time opening for fellow Briton David Bowie.